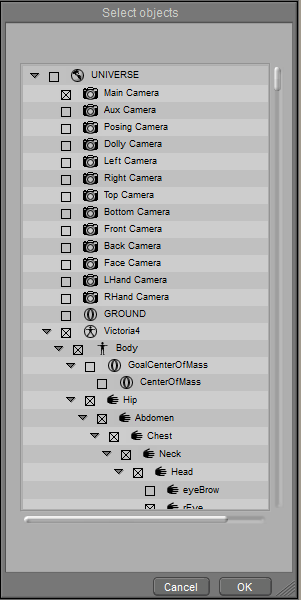 From CC 3.02, users are allowed to export characters from Poser, and bring them into CC via Transformer function. Michael 4 and Victoria 4 characters are compatible. 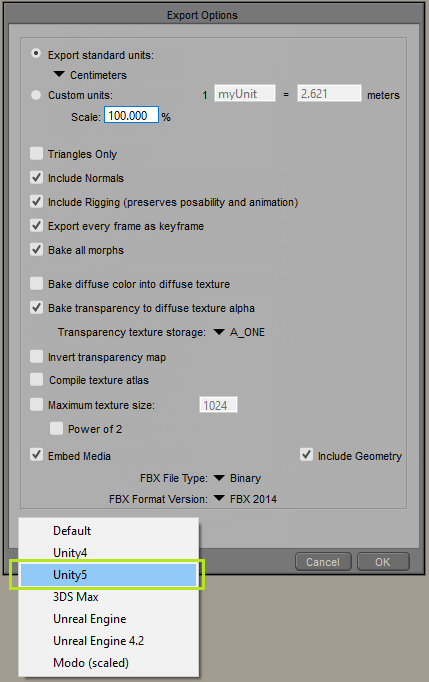 Go to File > Export > FBX to export FBX file from Poser. 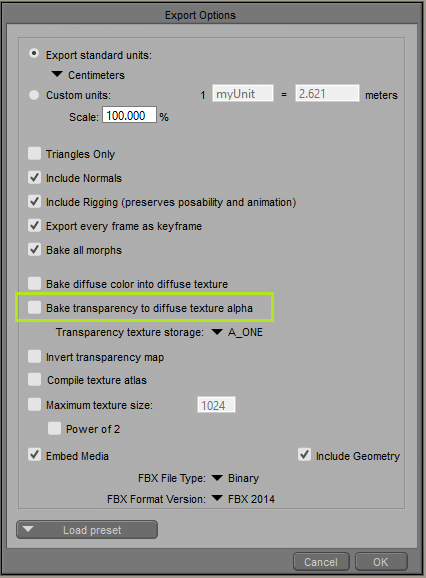 Uncheck the option "Bake transparency to diffuse texture alpha"
*Please note the "ADVANCED" mode won't work with characters exported from Poser because of the different texture saving structure. 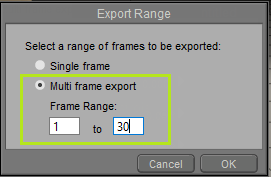 You may find some objects became invisible after using Transformer, which is caused by Poser automatically setting the Opacity value to zero if there is texture in Opacity channel when exporting FBX. 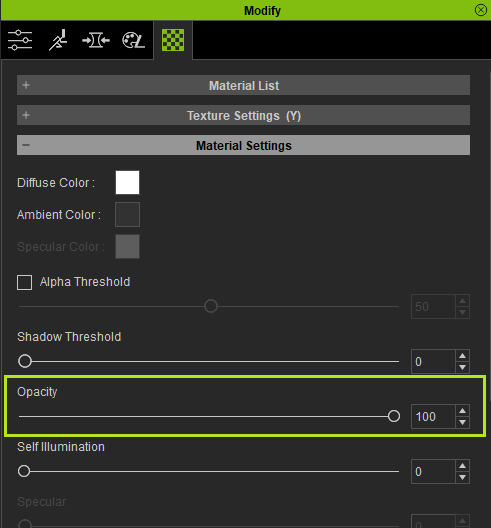 Select the object, go to Material Setting on the Modify Panel, and adjust the Opacity value to 100. Importing clothes with invalid skin data will cause Character Creator to crash. There is no positive workaround at the moment. We will update the program to accommodate these kind of files in a future patch. Will there be support for other Poser Figures like Alyson, Ben, or SydneyG2 etc.? Thanks for your feedback. I have passed this to the CC team for review and consideration. For any other requests and improvements to our products or services, please use our new Feedback Tracker. The tracker is monitored directly by the relevant product teams and you may get feedback from the team there. In addition it allows other users to support your request with the most requested suggestions getting priority. To use the Feedback Tracker, please click the link below. Thanks. Thanks for the suggestions. We will certainly be looking at supporting other popular character types but nothing is confirmed as yet. Project Evolution would be a great thing to support! We are certainly looking at ways to improve compatibility in UE4. Can you explain more about the arm bones that are not necessary? Are you referring to the twist bones?